The Appellate Division of the Third Department, an appeals court, recently upheld a decision of a Family Court Judge granting a father custody of his biological child and a child he was not biologically related to. The father and the mother were married. They lived together with two children. The father was the biological father of the younger child and not biologically related to the older child. The parties entered into a separation agreement. Pursuant to the agreement, the parties agreed to have joint legal custody of the children with physical custody of the children to the mother. The father had parenting time with the children. The mother thereafter consented to a finding of neglect regarding both children. The court at that point ordered joint physical custody of the older, non-biological child be maintained between the parties. Each party was to have custody on alternate weekends. The mother still kept the physical custody of the younger child. The father only had visitation with the younger child. The father brought proceedings seeking to modify the visitation arrangements with regard to both of the children. In these modification petitions to the Family Court, he asked for sole custody of both of the children. The Family Court initially entered an order granting him physical custody of both children and granting parenting time to the mother. Thereafter a petition was filed by the father alleging the mother had violated the temporary visitation order of the Family Court. 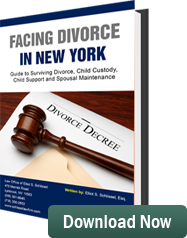 Thereafter the Family Court granted residential custody of both children to the father and gave the mother liberal parenting time. The mother had appealed the last order. The appeals court held there was a sound and substantial basis for the Family Court awarding custody of the children to the father. They took this position because the father was providing a more stable home and he had shown that he was capable of taking care of both of the children’s needs. It is possible for fathers to gain custody of both children they are biologically related to and children they are not biologically related to!